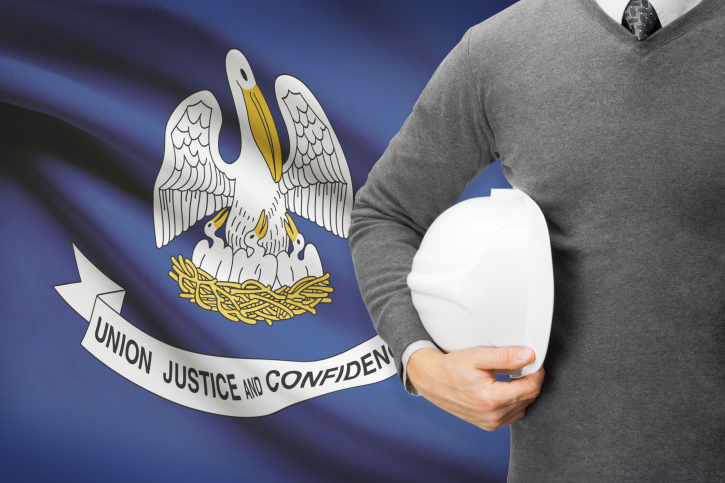 Licensed Louisiana Architects must complete 12 hours of continuing education each year by December 31st in order to renew their Individual Louisiana License. These twelve hours must be courses devoted to Health, Safety and Welfare and there is no need to complete more than twelve because they do not carry over. All AIA approved courses automatically qualify, along with those approved by the Louisiana State Board of Architectural. If your email address is on file, you should have received a reminder from the State of Louisiana. You can renew online at http://www.lastbdarchs.com/index.htm, paying with Visa, MasterCard or check. You can also download a hard copy of the renewal form, but be sure to leave enough mail time so it reaches the Board by the end of December. Be sure to note on the renewal if there are any changes in your contact information so you will continue to receive your renewal notices. You do not needto send in your certificates of completion, but keep them handy in case you are included in the annual random. The LSBAE conducts an annual random education audit of licensees at which time you must provide proof that you satisfied LA’s continuing education requirements. Failure at that time to provide proof of your hours may result in disciplinary action which may include fines and will include your being audited for the next three years. If you are exempt or are an emeritus architect, mark “yes” that you are exempt, and check “emeritus” from the exemption section. If this is your first year as a registrant, mark “yes” that you are exempt and check “new registrant” from the exemption line. If you are requesting a military or hardship waiver, a written request must be submitted to the Board at least two weeks before the December 31st deadline. This entry was posted in Architecture, Code Officials, Engineering.